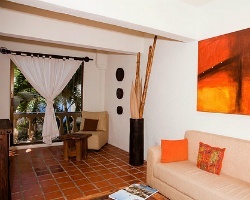 Mexico's beautiful Cabo San Lucas is the home of *Marbella Suites en la Playa*, a charming boutique-style hotel. The location alone provides guests with reason to choose Marbella suites, allowing excellent beachfront access and water sports, golf and tennis within easy reach. On-site amenities won't disappoint either, though- the beach, a day spa, whirlpool spa, equipped exercise room, restaurant, outdoor swimming pool and more can be found at the resort, and if that's not enough, guests are allowed to bring their pets to Marbella Suites! 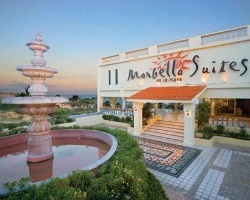 For more information about this exciting beachfront escape, visit www.marbellasuites.com. Floating gold week! RTU until 2105.